DeWain Valentine's sculptures play with the transparency and reflection of light, creating "illusions of colored light floating in space." To achieve these illusions, he primarily works with cast resin; however, in his exhibit at UAG, Valentine chooses a new medium--glass. 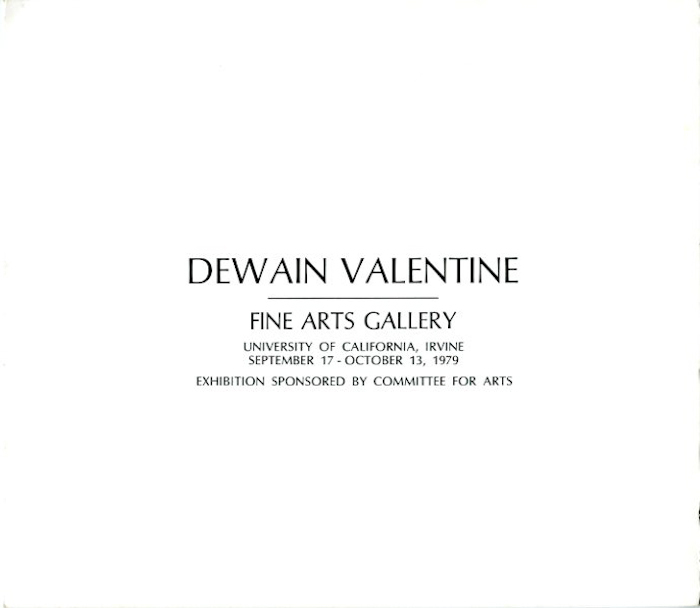 For the exhibit, Valentine created two works formed by small, narrow strips of glass that could be easily placed together in order to facilitate the construction and deconstruction of the work. His first piece was a wall relief that consisted of both two and three dimensions of form. The first work, in the shape of an equilateral triangle with its apex to the floor, was constructed out of twenty-eight modular tetrahedrons. Valentine's second piece was a free-standing floor piece of eight sections converging in the middle to form a hexagon. Valentine's new glass medium allows for easier transport and construction while still maintaining an artistic image of color, light, and space.